The Arctic Monkeys are historically known for changing their sound with every album. They appear incredibly conscious about their image: awkward and soft-spoken during interviews, averse to excessive popularity, and frequently out of the spotlight for extended periods. It has been five years since they introduced their smash hit, “AM,” irrefutably their most popular album. Once again, the Arctic Monkeys have returned to the scene with a vibe completely divergent from their previous works — and it’s not going to appeal to everyone. 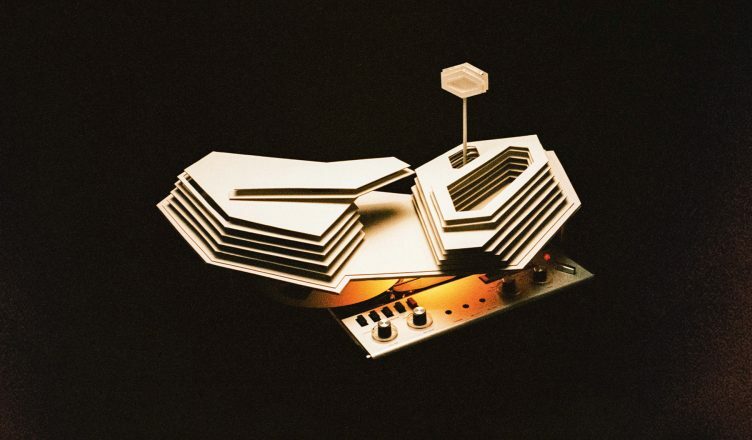 “Tranquility Base Hotel & Casino” evokes a fictional space-station-type establishment on the moon, far from the Sheffield pubs and streets that frontman Alex Turner wrote about in his youth. Now, the Arctic Monkeys sound like that one lounge band that everyone passes by in the lobby, filling the empty atmosphere with their soul. Almost every song has an echo to it, as if you’re haphazardly wandering the hallways of a hotel trying to trace the source of the din. Turner composed the album particularly with a piano in mind. Its voice is the standout from the rest of the band, often rising and falling in key like a circus organ. The pace is a calm, soothing tempo, like the easy-listening Muzak of a lobby. The change in tune is, admittedly, jarring. Listeners who jumped on the Arctic Monkeys bandwagon at “AM” will be heartbroken to find no intensity or passion here. Even diehard fans who have been around since “Whatever People Say I Am, That’s What I’m Not” may not have expected the Arctic Monkeys to switch to such a clean-cut, if not trippy, sound. But the band has never been satisfied with one single theme. They almost always expand their horizons, restlessly experimenting like Bowie or The Beatles. Sure, some of that experimentation has not always been for the best, but innovation always brings a fresh new experience with every listen. Here, Turner explores the impact that technology and entertainment have had on modern society. It’s a “One Point Perspective” of his reaction to his newfound fame. He’s somewhat disillusioned with the sensation, yet his lyrics remain quite thoughtful about his circumstance. “Star Treatment” covers his evolution with the band as they became more popular over time, changing looks and sounds to appeal to a larger audience. “Batphone” and “The World’s First Ever Monster Truck Front Flip” critique our infatuation with smartphone functionality, pointing to our ever-shrinking brains as a side-effect. There is “Four Out Of Five,” the most radio-friendly song on the album, hypnotically beating out its capitalist message to “come stay with us” and buy into luxurious conformity. Every track has something to deconstruct about the modern world. The sheer amount of self-reflection in this album is almost its downfall. It rides the line between enjoyable and avant-garde. “She Looks Like Fun,” the weakest song on the album, is almost self-serving in its description of the freedom and debauchery that comes with fame. It’s almost as if Turner is trying too hard to subvert musical norms at times to sound different. He wants to avoid something too formulaic or recycled, and he has to search deep within himself for an expression that is his own unique voice, not one that the uncultured masses want to hear. He succeeds in creating a compelling setlist, but one would like to imagine what would happen if he strained himself. “Tranquility Base Hotel & Casino” is not for everyone. Those who were expecting a follow-up to “AM” will be sorely disappointed with the direction that this album takes; those willing to explore the twisting walls of Turner’s eponymous hotel may find its sounds soothing. More open-minded listeners may take some time to “grow into” the album’s aesthetics and jive, but it’s worth the thousand-lightyear journey that it will take you on.